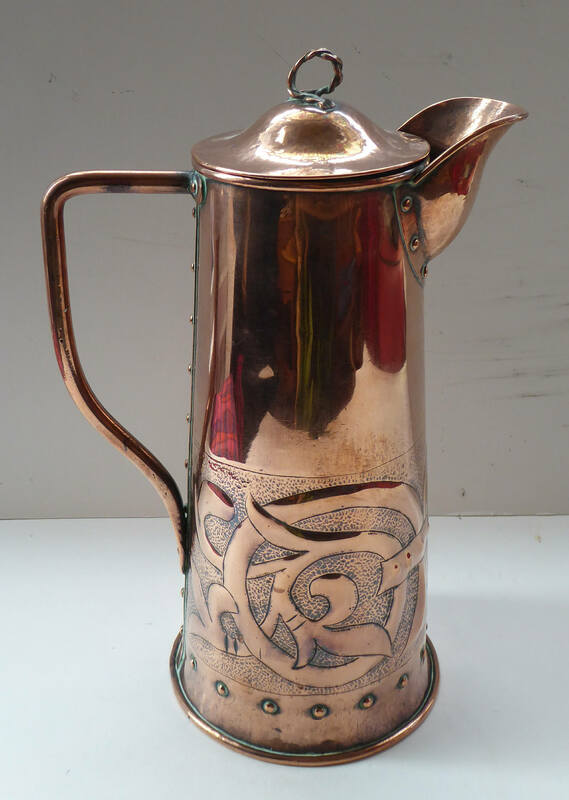 This is a stunning hand made copper Arts & Crafts lidded flagon or jug. It dates to the late 19th century / early 20th century. It is beautifully made and has fancy stylised foliate decoration and repousee work all around the base section, as photographed. There are riveted details around the base, spout and rear seam. The lid is not hinged, but is made as a separate piece. Just love the space of that exaggerated spout! 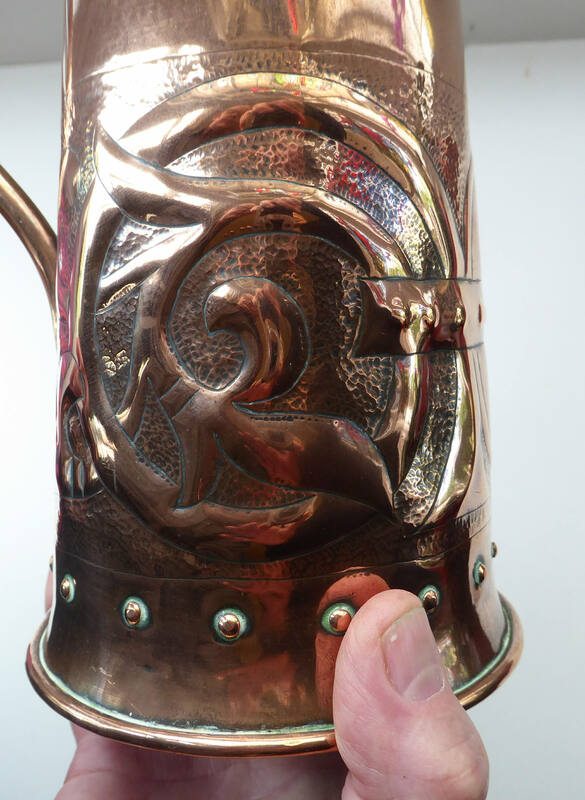 It is certainly in the most lovely condition and a top quality artisan piece. 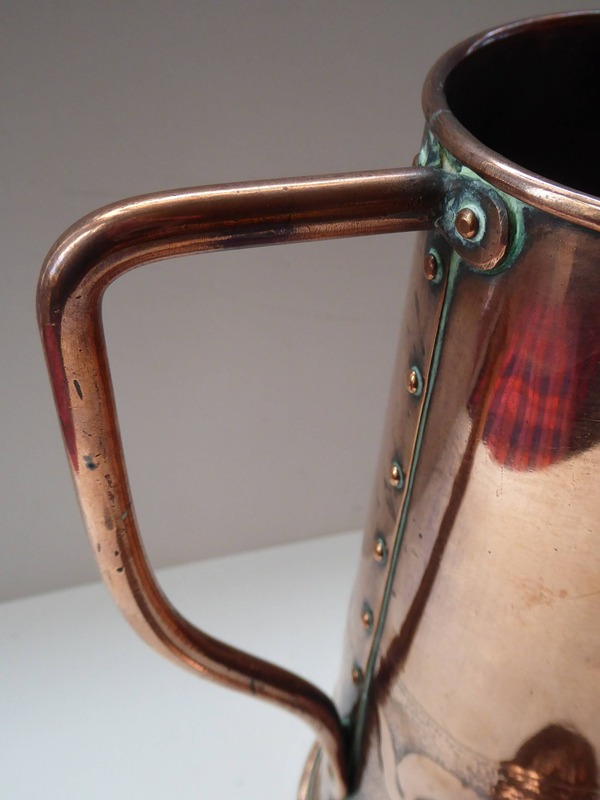 There are no maker's marks on the piece - but it is certainly made by a craftsman, but looks very like a Newlyn piece. A good large size - height 12 inches. 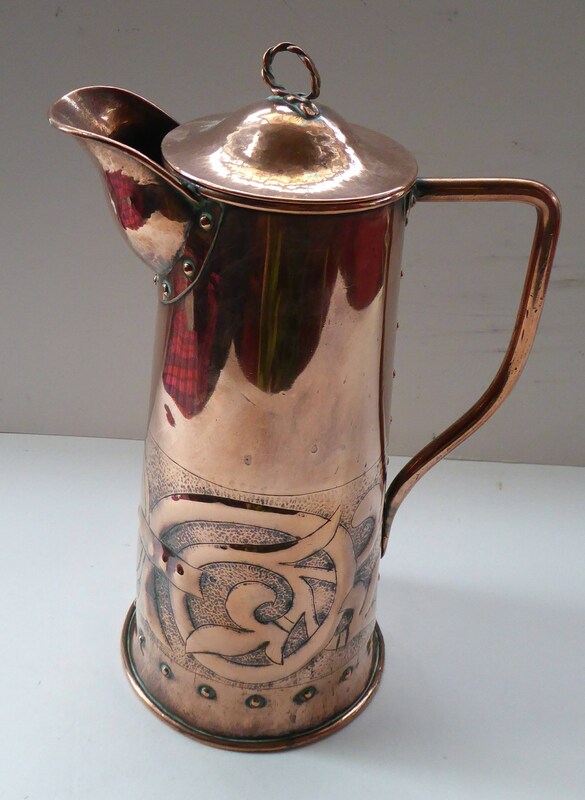 It is in lovely condition with no disfiguring dents, dings or scratches - and has a beautiful shine to the copper. 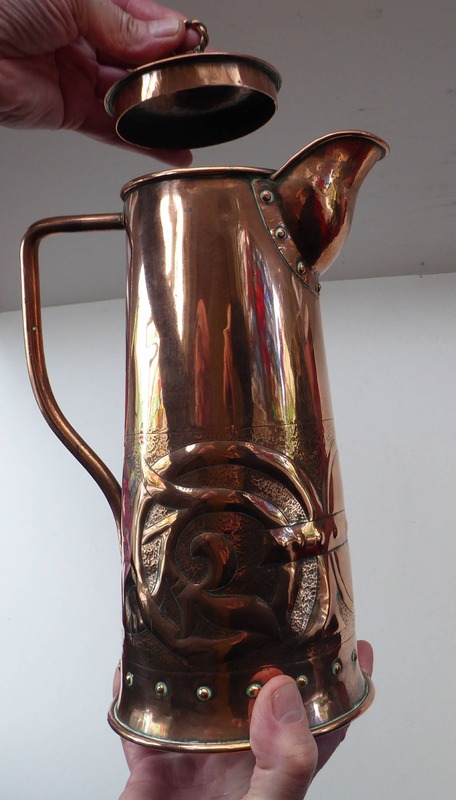 A fair price for this fine antique pitcher.